In an effort to jumpstart adoption of fuel cell electric vehicles, Toyota Motors earlier this month made more than 5,600 patents available to other carmakers. A few days later, General Motors introduced the electric Bolt, an electric vehicle designed to run 200 miles on batteries. Automakers, meanwhile, continue to develop yet other types of electric vehicles: plug-in hybrids and hybrid electrics. Electric vehicles are the most promising alternative to conventional gasoline and diesel-powered cars. But how is each technology different? And what are the relative benefits and commercial challenges to each? Let’s start with similarities. Plug-in battery electric vehicles (BEVs), hybrid electric vehicles (HEVs), plug-in hybrid electric vehicles (PHEVs), and hydrogen fuel cell electric vehicles (FCEVs) are all electric vehicles. They’re all propelled by an electric motor and have batteries to store or supply electricity as required and absorb energy when braking the vehicle. Some of these vehicles can also generate electricity on board, either through a gasoline-powered combustion engine or a hydrogen-powered fuel cell. They all represent a fundamental break from the gasoline combustion vehicles we drive today in three ways: the drivetrain is electric, rather than mechanical; the engine under the hood is electrochemical instead of combustion-based; and the fuel is electricity and hydrogen, rather than gasoline. The forces behind these technological shifts began in the late 1980s with automobile manufacturers’ acknowledgment that the long-term availability of petroleum is limited and that an alternative vehicle platform and fuel would be needed to assure a viable future business model. Hydrogen was selected as the fuel and a 25-year path for fuel-cell vehicle commercialization was established. Since 1990, three additional forces have emerged to further affirm the decision to target the hydrogen fuel cell vehicle as the product of the future, including climate change, policies that favor fuel independence, and air quality regulations, notably in California. In the past five years, though, there’s been a resurgence of battery electric vehicles, which rely solely on battery power. 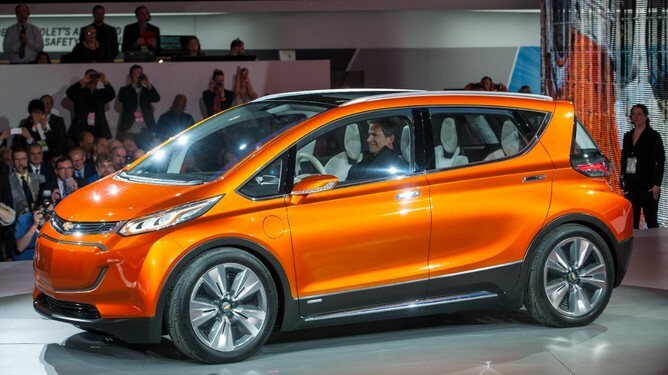 Examples include the Nissan Leaf, the GM Spark and the Kia Soul. After 40 to 60 miles, the batteries are depleted and need to be recharged by plugging into a residential circuit or 220-volt, purpose-built charger at a commercial center or workplace. Charging time depends on the voltage, the charger technology and the battery “state of charge” (i.e., how much the battery has been depleted) but generally requires one to six hours to fully charge the vehicle. A BEV is attractive because its range satisfies the majority of trips taken by the public, recharging at home is convenient, and driving is vibration-free and quiet. The size of the vehicle is relatively small, providing good maneuverability and relatively easy parking, and there are no air pollutants during driving. BEVs also have the potential to balance the electric grid by charging overnight when grid resources are under-utilized. Working against BEVs is the time required to recharge the vehicle and the range anxiety – that is, concern over limited driving range – experienced by drivers, which effectively reduces the useful range of the vehicle. Also, charging can stress the electric grid and there are cases where there is no charging infrastructure available, particularly for people who live in apartments. Following California’s zero emissions vehicle mandate, BEVs were first commercialized in the 1990s but the market waned in the 2000s. With a number of passenger cars available for sale or lease, the market is being tested today to assess public demand for this limited-range, but convenient vehicle. Advances in battery technology have the potential to increase range. Hybrid electric vehicles are a BEV with a gasoline combustion engine on board to generate electricity and move the car in conjunction with the electric motor. They can provide the same 300-mile range people expect with a conventional gasoline vehicle. And with advanced software controls, the combustion engine interacts with the batteries to achieve high efficiencies and low emission of pollutants. HEVs have been offered for sale in the United States since 2000, with the Prius, first introduced by Toyota in Japan in 1997, a prominent example. 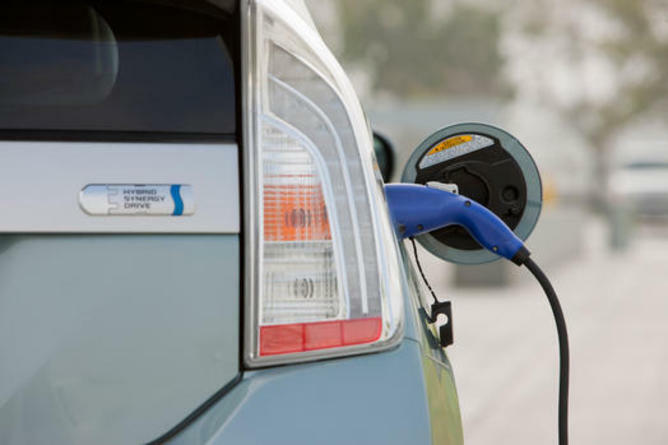 In 2012 and 2013, the Prius was the best-selling vehicle in California with over seven million vehicles sold, reflecting consumers’ remarkably positive acceptance of the vehicle. PHEVs are a HEV with added battery capacity that can provide an electric drive range of between ten and 60 miles. The Chevy Volt, for example, can drive nearly 40 miles on battery power before a gasoline generator kicks in. This allows the convenience of recharging the batteries overnight at home and a daily electric range that the majority of the US public does not exceed. And the PHEV provides the 300-mile range which the driving public is accustomed to. Fuel cell vehicles are hybrid electric vehicles with two major differences. A fuel cell, an electrochemical device that takes a fuel, such as hydrogen, and oxygen from the air to generate electricity, replaces the gasoline engine under the hood. The fuel cell has remarkably high efficiency (three times that of the conventional gasoline automobile) and zero emission of air pollutants when driving. The product of the reaction is water, which is exhausted through the tailpipe with nitrogen and some oxygen remaining from the air. And instead of a gasoline tank, there are hydrogen storage tanks. The refueling time of a fuel cell vehicle is comparable to a conventional gasoline automobile and fuel can be sourced domestically. Some of the challenges associated with fuel cell vehicles are the limited number of hydrogen fueling stations nationally. California has the most hydrogen fueling stations in the US, with 51 projected to be operating by the end of 2015, over 70 by the end of 2017, and 100 by 2020. Sixty eight stations are considered the initial minimum to support acceptance of fuel cell vehicles in the State. The market is discovering that the BEV is an attractive complement (not replacement) to the conventional gasoline vehicle. The gasoline-powered HEV and PHEV are emerging to meet environmental regulations while maintaining the overall driving experience of range and size the market is accustomed to. The cost of the vehicles and the cost of driving the vehicles are, for all practical purposes, competitive and compelling. Depending on the cost of electricity and the cost of gasoline, the cost per mile can favor one or the other. The PHEV provides the customer with the option of using either electricity or gasoline. The fuel cell electric vehicle is emerging as a natural evolution of the hybrid and plug-in electric hybrid. As a result, one can foresee that the BEV and the FCEV represent the next-generation alternatives to the conventional and hybridized gasoline vehicle for fulfilling light-duty transportation needs. The BEV provides convenience and maneuverability, and the FCEV provides range, flexibility in vehicle size, and rapid fueling. Both vehicles achieve fuel independence, a separation from geo-politics, and attractive environmental attributes. The purchase cost and operating cost of battery electric and fuel cell vehicles are comparable today. It’s likely that the cost of hydrogen will decrease in the future due to market competition and advances in technology and that the cost of electricity will increase. That means the per-mile cost of operating a fuel cell electric vehicle, compared to a battery electric vehicle, will likely become lower. Scott Samuelsen is a Professor of Mechanical, Aerospace, and Environmental Engineering at the University of California, Irvine (UCI).